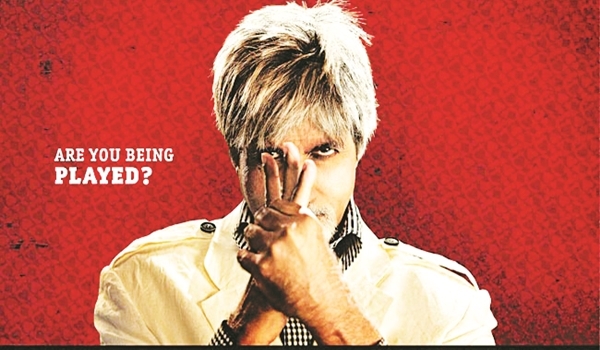 Known for his groundbreaking theory about probability and randomness, maths genius Professor Venkat Subramaniam (Bachchan) decides to accept an invitation from Perci Trachtenberg (Kingsley) to gamble at a high rolling casino. Though Venkata��s main aim is to prove that his theory works on a game of cards (teen patti), he and his team of students soon get dragged into the world of Mumbaia��s gambling underbelly. Though not credited, the movie is inspired by the 2008 Hollywood movie, 21, directed by Robert Luketic. Reeling from an attack by unknown men after a late night party, Meera (Sharma) and her husband Arjun (Bhoopalam) head out on a road trip on her birthday to take their mind off things. But their adventure turns into a nightmare when they witness an honour killing and end up being confronted by the gang behind it. Can Arjun and Meera escape the impending danger and reach safety? The film is loosely adapted on the real life case of the Manoj-Babli honour killing in 2007. 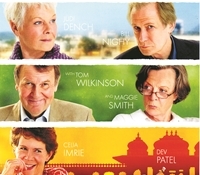 Seven senior citizens from Britain head to Jaipur to spend time in a seemingly picturesque retirement hotel. Each of them have their own storiesa��Evelyn (Dench) is newly-widowed, Graham (Tom Wilkinson) is in search of a long lost love and Madge (Celia Imrie) wants a rich husband. Meanwhile, Douglas (Nighy) and Jean (Penelope Wilton) are struggling without pension, Muriel (Maggie Smith) is looking for cheaper options in hip surgery and Norman (Ronald Pickup) wants to relive his youth. With the charming Sonny (Patel) as the hotela��s manager, the seven guests are unprepared for what lies in store for them. The movie is based on the novel, These Foolish Things, by Deborah Moggach. Vijay Salgaonkar (Devgn) is a family man obsessed with movies. He runs a cable TV network in his village, and lives with his wife and two daughters. Their simple life takes a turn for the worse when they are embroiled in the missing case of Sameer, the son of Meera Deshmukh (Tabu), the inspector general of Goa Police. With the police looking at his family as the prime suspects, can Salgaonkar protect them from prosecution? This is a remake of the Malayalam movie of the same name, starring Mohanlal. Ten years after the first Terminator tried to kill Sarah Connor, her young son John Connor has now become the primary targeta��as the leader of the resistance against the organisation of artificial intelligence, Skynet. Using time travel, Skynet sends back a shape-shifting advanced cyborg, the T-1000, to kill John, only to find that another Terminator (Schwarzenegger) has also been sent back in time to protect John. This is the only Terminator movie to have been nominated at the Oscars and to have won awards (four in total). Truth Be Told, the new show on Comedy Central, is all about friendship. Starring Mark-Paul Gosselaar, Vanessa Lachey, Tone Bell and Bresha Webb, it revolves around two best friends who are married and are neighbours, too. Watch how Mitch and Russell deal with their wives, and try to lead the good life. It is about a former intelligence officer working as a security expert in Las Vegas. The House, an elite betting organisation, is seen doubting protagonist Alex Kanea��s ability to stop a serial killer, after receiving a surprising intelligence. Elsewhere, pit boss Johnson intervenes in Detective Browna��s attempts to follow the dealer. Inspired from 19th century stories called penny dreadfuls, referring to cheap publications, this horror drama borrows many characters from British and Irish fiction. In the Halloween episodes, Vanessa Ives is disturbed by images brought upon her by professional spiritualist Evelyn Poole, while Dr Frankenstein tries to bring Brona back to life.